Plantar fasciitis/heel spur syndrome is an inflammation of a thick band of tissue at the bottom of the foot called the plantar fascia. The inflammation of the plantar fascia, at its origin at the heel bone (calcaneus), causes the classic symptoms of pain at the bottom and/or side of the heel facing the opposite foot, often the most painful upon arising in the morning or when standing after sitting for prolonged periods. We call this post-static pain, or pain after rest. This is because the plantar fascia is tight after rest, and the stretching inflames the painful area even more, therefore, increasing the discomfort. The pain can exist with or WITHOUT a "heel spur." It is the feeling of most physicians who treat this condition that the pain is caused by the stretching and inflammation of the plantar fascia, and NOT by the bone spur. The spur is a result of pulling of the plantar fascia at the heel bone, resulting in extra bone formation, often referred to as a "heel spur." The classic symptoms are pain and a feeling of stiffness in the bottom and/or side of the heel. This pain is often a sharp pain that is described as a feeling of stepping on a stone or nail. The pain often reduces after a few steps, though it may still persist. This pain can also occur when walking after sitting for a prolonged period of time, such as sitting at work, driving a car, etc. Plantar fasciitis/heel pain syndrome has many causes. 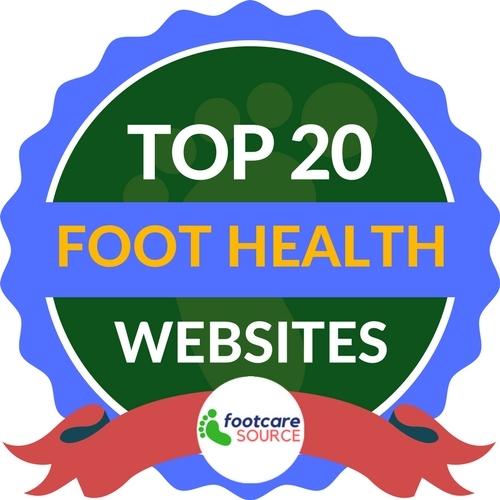 Risk factors such as weight gain, foot type (flat feet, high arched feet), high levels of activity, sports, overuse, improper shoegear, improper support of the feet, trauma, tightness of muscles and daily activities can trigger the classic symptoms. Often, there is no single cause, but a culmination of several risk factors. It is imperative to address all of these factors to treat this condition successfully. What Will My Doctor Do For It? Your podiatrist will perform a thorough examination and history of your condition. He/she will explain the cause of the problem and offer you various treatment options. X-rays will usually be taken to assess the status of the heel bone and to check for other findings such as arthritis, foreign objects, fractures, etc. There are numerous treatment options, and the treatment protocol will vary according to the severity of the patient's symptoms. - Treatment options can include oral-anti inflammatory medications, heel cushions, heel cups, physical therapy, stretching exercises, taping/strapping of the foot, over-the-counter inserts, custom orthotics, injections, soft tissue wraps, weight loss, changes of shoes, using ice, not walking barefoot, casting, night splints and surgery. Each option has advantages and disadvantages, and must be tailored to the needs and unique characteristics of each patient. - Conservative care is successful 85% of the time, and surgical treatment is usually performed 5-10% of the time. The surgical technique differs according to the surgeon's preference. The surgery is usually performed in an outpatient setting and can be performed "traditionally," with removal of the spur and surgical release of the ligament. The newest technique is non-invasive, and utilizes high-powered electric shock wave therapy. Can I Prevent It From Happening Again? Controlling body weight, wearing supportive shoes and having additional support in your shoes can decrease the chance of recurrence. Additionally, stretching the Achilles Tendon and hamstrings, and maintaining flexibility are extremely important in preventing recurrence of the problem. Most importantly, pain and discomfort are your body's signals that a problem exists. Prompt attention and treatment can often result in significant relief with the avoidance of complications. For more information on plantar fasciitis, please contact our Long Island foot doctors at Advanced Podiatry today at either our Huntington, NY, Manhasset, NY or Roslyn, NY practice location! Or contact us through our site's request form.